I want to be able to have a roll-up for any related object regardless if there is a Master-Detail relationship. If the object is linked to another object, then it should be able to roll-up. Dean- I understand your frustration around this particular request. As much as we want to deliver every Idea we can, not every Idea is the same and some are much more complex/difficult to implement than others. I'm sorry you feel we ignore popular requests becasue we definitely don't! In fact we have been steadily picking away at the them, as a priority, with each release. To date 60% of the Top 20 Ideas (by point value) have already been delivered and 85+% are on our long term roadmap at this time. So votes, and your voice, definitely do matter and actively help shape our product's direction. Eliminating the Need for Master Detail Relationships for Rollups is unfortunately not on our current roadmap. We recognize the value it would provide, but as you can imagine there is a lot of complexity behind the scenes here. Since this is important to you we'll continue to actively track it. Should our plans change we'll post a new update to the Idea. Thank you. 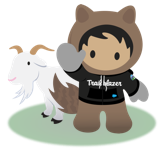 @Jeffrey Rheel - You can always set up a filter on your mail that automatically deletes all mail from @salesforce.com, that helped me get rid of a lot of redundant stuff, not limited to Trailblazer. The comment is already linked to your account, check the box below the upvote/downvote section with your name, your e-peen is already 42440 points long. Need it badly. Allow it when the Users standard object is the parent too. "It's in the long term roadmap" meaning "unless one of our largest accounts say they will pay us to implement this we won't". 11 years, 42.4k votes, and the official response? "it's not in our roadmap". Laughable. This! This would be sooo useful. Really need for multiple use cases! Hey folks, DLRS (Declaritive Lookup Rollup Summary tool) on appexchange is free and pretty awesome. It took a little while to figure out, but works great. It's been 2 years since the last update. Anyone have any news or is there a different thread for this? We are extremely risk averse when it comes to our salesforce data and we really try to minimize adding additional products or tools so having this as native functionality is much needed. While we were able to get the AppExcahnge to functionally work on the contact object rolling up number of types of contacts, the app crashes and burns when there is integration with contacts. Even though the calculation is microseconds, integration times out when there are tens of thousands of contact records. We need a native solution to roll up any object and any lookup relationship. This would be so incredibly helpful. This is really needed. The AppExchange tools available just don't do the trick. I have tried a couple of different ones and found I could create better functionality for the "roll-up" field if I did the development myself. I really don't want to have to write custom code whose only function is to count the number of related records that meet a certain criteria. There's got to be a better way. As a result you end up installing appexchange products, which may have a cost element to them, or you spend time and money building your own custom rollup calculator. This is a basic function of any database tool and should be in the product.